But recently I needed to create a video file with a single, 16-channel audio track for playback on a BlackMagic Hyperdeck 12G. This was not as easy as it sounds — and it doesn't even sound that easy — so I wanted to document my methods. But the process also got me thinking about the imminent demise of one of my favorite video utilities, QuickTime Pro, and I wanted to share my thoughts on that as well. I started with a video track and my 16 audio tracks in both DaVinci Resolve and Final Cut Pro X. Both these editors handle the multiple audio tracks with aplomb; editing and playback worked great. Both suites can create a video file with 16 tracks of mono audio, but the Hyperdeck just pukes on that and plays the first two tracks like a stereo pair. 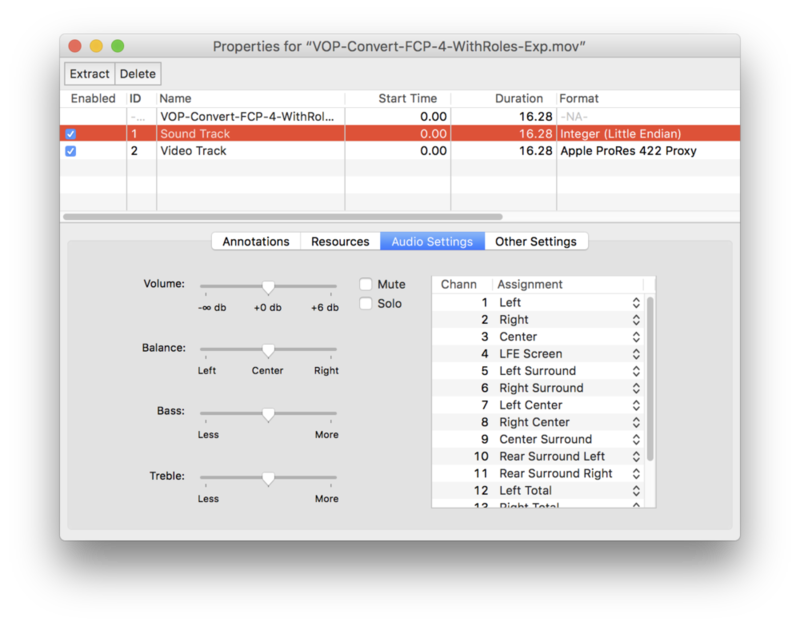 But when it comes to exporting the final video file, neither edit suite can produce what I need, which is a ProRes video file with a single audio track that has 16 channels. This is almost what I want! So this first file with 16 tracks of audio must be converted to one that has our requisite single audio track with 16 embedded channels. I was turned on to one method by this FCP.co Forum post. Their method uses QuickTime Pro to create the final file, but because Apple is phasing out 32-bit apps, Quicktime Pro is not long for this world, so this method is not a good long term solution. QuickTime Pro, I will miss you deeply. Turns out, there's another application that is capable of creating a 16-channel "discrete" audio track, and that is Adobe Media Encoder. I don't love its interface, and I've long loathed Adobe's online licensing scheme, but AME's a pretty darned good encoding application that's far more capable than Apple's Compressor (which, for the record, could also not produce our file). Adobe Media Encoder to the rescue. So there you have it. Another way to produce a video file with a 16-channel discrete audio track. So it turns out there's still one more missing piece of the puzzle. See in the screen shot 3-up where each track says "Discrete?" Yeah, that's actually not quite going to work. Turns out each track must be given a role that describes how it will be decoded. That's easy enough to do in QuickTime Pro. Just click on each channel and assign the role. Then the Hyperdeck will know how to decode the tracks. Two things though: 1) QuickTime Pro doesn't have 16 built-in roles to assign, so some stuff might not get decoded correctly, and 2) I found a much better way. This is what I want. Roles are key to proper decoding. DaVinci Resolve can output exactly the file we need in one pass — no need to do the QuickTime Pro/Adobe Media Encoder steps at all. The trick is to set your Audio output settings at 16 Channels and uncheck "Render one track per channel." This will output a file with all 16 channels in one track and with roles assigned to each channel that the Hyperdeck will be able to correctly decode. 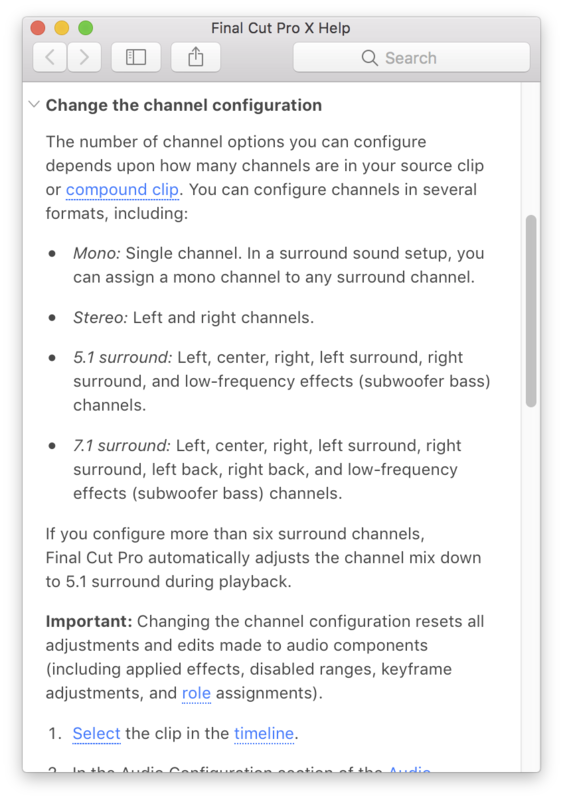 DaVinci Resolve audio output settings. If you want to make a video file with a single 16-channel (15.1) audio track, use DaVinci Resolve to make your edits, then in the Audio tab in the Render section, output with Channels set to 16 and uncheck "Render one track per channel." Resolve will do the right thing. And voila! You're done. Now that that's out of the way, I just want to say, I think it's a shame that Apple has stopped supporting more obscure video practices. Quicktime has long been the gold standard of video platforms, and Apple has continued to do great things with it: the ProRes line of CODECs is truly wonderful. But where Apple was once the leader in amazing — and flexible! — video editing and encoding, they seem to have lost interest. QuickTime Pro has been around for my entire career as a SysAdmin. It's a $30 app that has helped me more times than I can count. It's truly been an invaluable and peerless tool that will be deeply missed by many. But what's most troubling is that Apple appears disinterested in supplying any sort of replacement; not even their pro apps can do the sort of thing I wanted to do with this file. Final Cut Pro X will just mix your 16-track audio down to 7.1 surround. Is this a weird, unusual thing to need to do? Sure! But it's part of the spec! 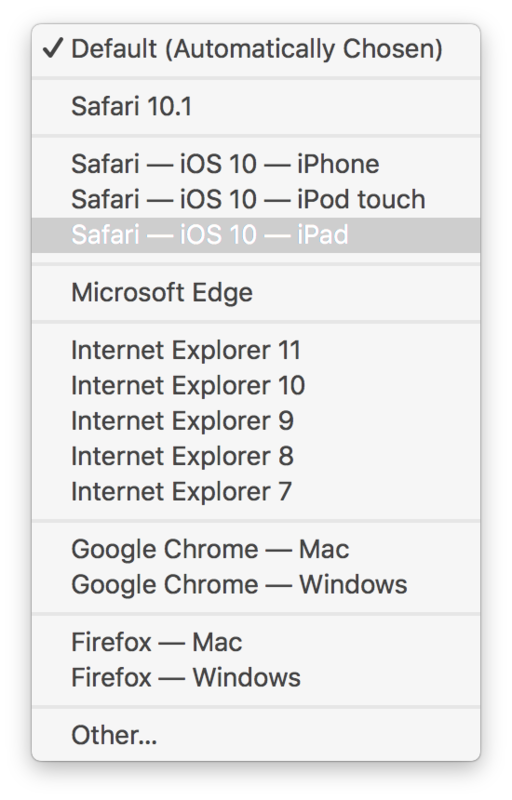 And it's a part that Apple's 30-year old utility can address, but which none of their pro apps can. Someone at Apple used to think it was important to address the full capabilities of the video file spec, but now they seem only interested in addressing what "most users" want to do with that spec. It blows my mind that Final Cut Pro X can't export a 16-channel audio file, but is happy to help you export your YouTube videos with branded presets. This strikes me as problematic, and another sure sign that Apple is either out of step with the needs of professional video producers, or simply is no longer interested in them as a customer base. Or maybe we just have vastly different ideas of what constitutes a professional user. And while I'm glad that someone's taken up the mantle, Apple used to do it best, and I'm a little bummed that that's no longer the case, because frankly, no one's doing it as well. Oh well. I guess that's progress. I do love my iPad though.